With the iOS 5 around the corner there are many new features which are being given by Apple to its customers through iOS 5 but one such feature is the Voice Control Application which was available in iPhone 4 and now users with iPhone 3G and 3GS can also avail this feature through the new iOS 5. Voice Control is one such thing which gives you a new feeling to use your iPhone. Make sure you properly know what commands to use for what purpose. 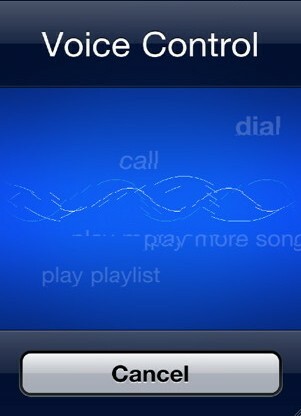 After you press and hold the Home button, you will be prompted by an audible tone to speak a command. When using a Bluetooth headset, press and hold the “call” button until the Voice Control screen appears. Always wait until the prompt is complete before you start speaking. Any words you speak while the device is giving the prompt will be ignored. Be ready to speak when the beep has completed. Long pauses may cause unexpected results. Microphone on your headset, With iPhone 4, iPhone 3GS, and iPod touch (4th generation), you can also use the built-in microphone. You can also use a Bluetooth headset, or a compatible Bluetooth car-kit. Voice Control Commands: Under described are the various Voice Control commands and given under each category are the various commands which will help you use Voice control in an efficient way. How to enter a number when that number is not saved in your Contact list: Say “Call” or “Dial” and then the number For Example: “Call 9999999999” This will let you connect to the number which you have just said. How to Start the music player: Say “Play” or “Play music” When you use this command if you have paused a song then that particular song will start playing. If your iPod dosent have a song paused before then the first song in your library will start playing.